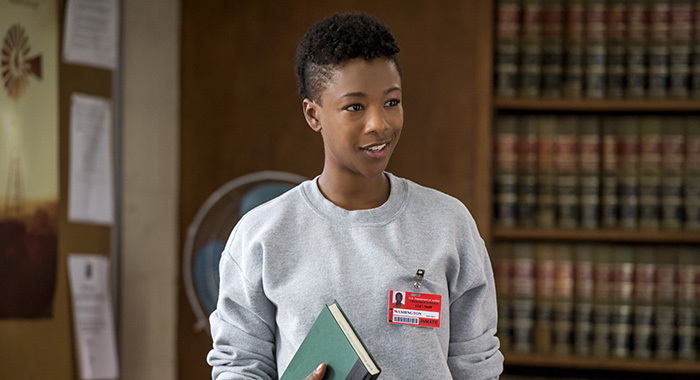 Fans miss Poussey and can’t stop talking about that killer ending. Orange Is the New Black dropped its fifth season Friday, June 9, and fans immediately descended upon it like a pack of wild dogs. And who can blame them? 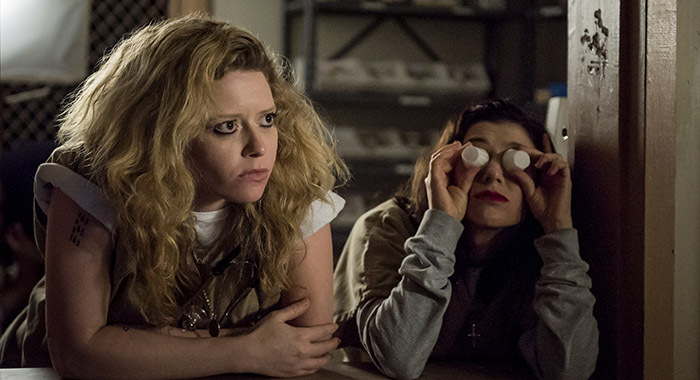 Season 4 left off with a cliffhanger of an impending inmate riot and details about the fifth season revealed it would take place during the inmates’ three-day standoff at Litchfield. It doesn’t get much more intense than that. 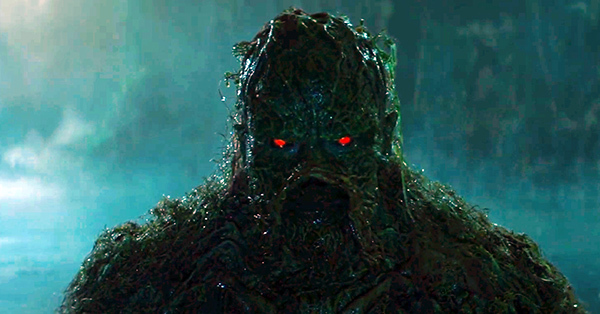 So it’s unsurprising that the fifth season was rife with incredible moments — funny moments, scary moments — and some of the best acting the show has seen to date. Here are the five moments fans were buzzing about the most. Warning: Spoilers ahead for the entire fifth season of Orange Is the New Black. Poussey’s (Samira Wiley) death at the end of season 4 is what catapulted the inmates into the season 5 action, so naturally her presence is all over the new season — though she only appears in a brief scene during Taystee’s (Danielle Brooks) flashback episode. But whether it was an impromptu dining hall memorial, the most permanent hallway library memorial or Taystee’s flashback, fans were here for anything Poussey-related. While most of OITNB season 5 was drama filled and action packed, there was still plenty of levity. One of the funny scenes fans liked the most was the guards being made to perform a talent show for the inmates, particularly CO Stratman (Evan Hall) taking it allll off for the ladies. Hall’s commitment to the strip tease was impressive indeed. Arguably the most insidious character of seasons 4 and 5 (and maybe the entire series) is CO Piscatella (Brad William Henke), because his attitude toward and treatment of the inmates sets the tone for all the guards and makes life at Litchfield hell. In episode 10, viewers finally learn the story behind Piscatella and the inmate he killed in max — but it’s really a case of too little, too late at this point. Piscatella’s stalking and kidnapping of Red (Kate Mulgrew) and her prison friends is one of season’s scarier plotlines, but it definitely made for some good social media memes. OITNB may have started out as a show about Piper Chapman (Taylor Schilling), but season 5 was Taystee’s show and actress Brooks handled the heavy material with aplomb. 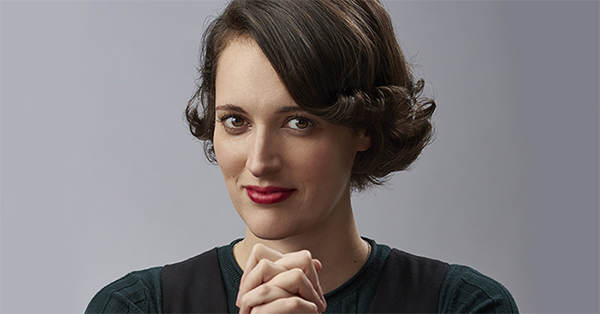 Fans especially praised her speech to the media in episode 6, but her work throughout the season was stellar. One thing fans all seem to agree on is that if she isn’t nominated for some awards for this season, it will be the ultimate snub. 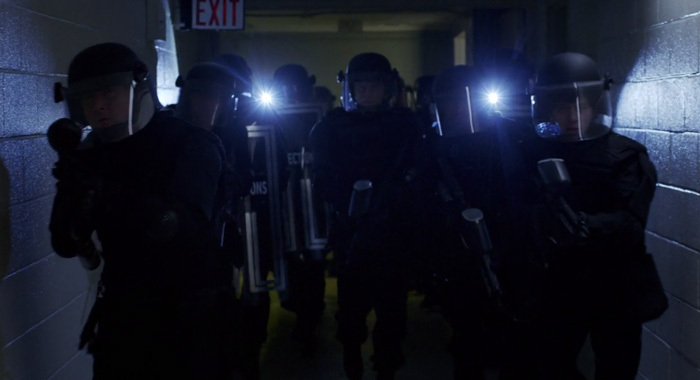 The season ended on a harrowing episode where New York SWAT secured the prison and led every inmate out in handcuffs to await their fate — except the women making a stand in Frieda’s (Dale Soules) bunker in the prison’s defunct swimming pool. Fans were blown away by both the powerful scene of the women taking hands to stare down the security team and also the heartbreak upon learning the inmates are going to be separated and shipped off to various facilities. 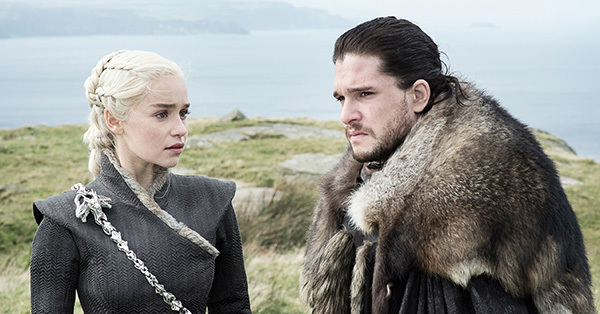 What this means for season 6 is anybody’s guess, but as is the case with any good binge-watch — once it’s over, everyone freaks out about having to wait a whole year for more episodes. 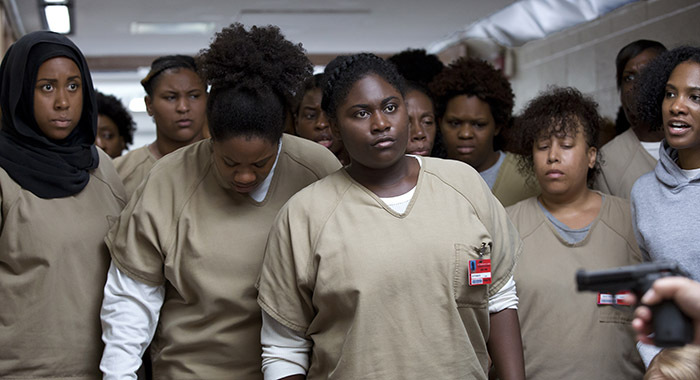 Orange Is the New Black is now streaming on Netflix.